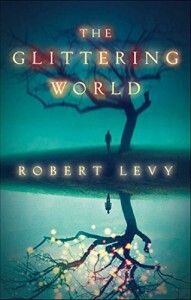 The Glittering World was a book that I chose to read solely for the cover. Yes, it was pure cover love for me. I then read the blurb and for some reason I thought it has going to be a dark fairy tale. I was in the mood for some adult fantasy, so I had to check it out. The Glittering World is the story of 4 friends, Blue, Elisa, Jason and Gabe, who travel from New York to Cape Breton to sell a house that Blue inherited from his grandmother. What they thought was going to be a cool road trip between friends turns out to be the you could say trip of their life time. Shortly after arriving to the house and getting acquainted with the locals, Blue remembers secrets from his past that help him discover who and what he really is. Dun dun dun! The trip then gets complicated after Blue and Elisa mysteriously disappear. Jason and Gabe are left with the mission to find them. As they search for them, the mysteries that lay behind below an abandoned artists’ colony are unveiled. After reading the first two chapters I was hooked and intrigued. Blue seemed like a tortured soul. The introduction to his character and his woes was good. I didn’t understand why this was so important because I wanted the fairies or whatever strange creatures this book was going to be about to pop up. I was anxious for fantasy. I kept reading and it got weird but in good way. The author had me with the creepy dark luminous fairies. As the story progressed it got creepier and darker. The plot is divided into 4 parts. Each part is narrated by one of the four main characters, starting with Blue, then Jason, followed by Elisa and it ends with Gabe. Since part two I was dying to know Gabe’s side of the story. I thought it had to be creepy weird, and I wasn’t wrong. The Glittering World was a confusingly addictive adult read. It is an utterly wild ride. Strange, gross at times and different from everything I’ve read. It is a fast paced read that you can’t put down. I would describe it like a maze, once you get in on one side, you can’t go back. You just have to keep going until the end. You might get disoriented and or lost inside it, but once you start it, you can’t stop until you get out of it. I liked this book and gave it 3 stars. I didn’t give it a higher rating for the reasons I state in the full review on my blog.